Now it's the core who listens on HTTP ports, handles TLS configuration and base path proxy. All requests to Kibana will hit HTTP server exposed by the core first and it will decide whether request can be solely handled by the new platform or request should be forwarded to the legacy Kibana. Technically we have two Hapi servers now (one for core and one for legacy Kibana), but only one underlying Node HTTP listener. This setup allows us to gradually introduce any "pre-route" processing code, expose new routes or replace old ones handled by the legacy platform currently. Once config has been validated by the legacy Kibana, part of it will also be validated by the new core so that we can make config validation stricter with the new config validation system (even though it's based on Joi internally we introduced custom rules tailored to our needs like byteSize or duration). That means you can notice new config validation error messages if config value has been accepted by legacy config validation code, but rejected by the core. With this PR legacy Kibana will still be started first using existing CLI and will bootstrap core only when needed, but we're going to inverse this in #19994. This was reviewed over the last year in a long series of individual PRs. I just did a high level once over on the code to double check, and it looks good. Please update the PR title and description though. To most people, this PR represents the first addition of the new platform. Can you update this PR to detail the changes? Question about the kbn-observable that we changed into src/core/lib/kbn_observable: why didn't we move the share_last operator over? Should we make a note about this, in case we plan to reimplement that? I assume we don't want it anymore at all? Can we either add some follow up about the stuff that we didn't pull over from kbn-observable, or include them here? If this gets merged as is, the things that didn't make it will be lost/forgotten. @archanid Are you referring to kbn-observable functionality from the new-platform branch that wasn't included here? If so, that shouldn't block this change. The new-platform branch was abandoned the moment we created kbn-core, it continues to exist only so we can reference and potentially scavenge pieces from it in the future if we need to. So if there is a feature from it that you'd like to use going forward, you can copy it from that branch and PR to master just like any other change. Hm, but why didn't we include everything but that one operator? I just wonder. The description says we pulled the whole kbn-observable lib in here. Is it missing, or deliberately omitted? I just removed everything we don't need in the initial merge, and it was the only operator that depended on RxJS, but not used elsewhere. Since we have this in new-platform (as well as other pieces like elasticsearch client, plugins support etc.) we can pull it in when/if we need it. @azasypkin Please update the title/description and fix the dependency conflicts and get this beautiful beast merged! Prettier: apply latest `printWidth` rule. Hmm, why CI is still running for this PR? :) Anyway it seems CI failed because of flaky test... Will be monitoring master today. This PR broke Canvas. 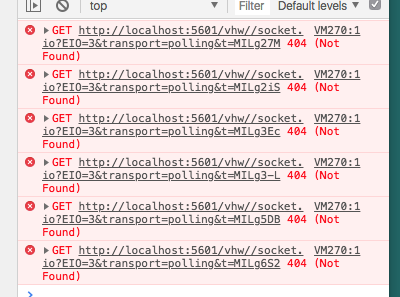 We just see a bunch of 404 errors in the console and nothing loads. There's an extra slash in the basepath now, not sure if that's related.